Live sustainably and embrace the three R's: reduce, reuse, and recycle. In My Zero-waste Kitchen, find creative and unexpected ways to eliminate trash, save money, and give leftovers a new life. Plus, learn to grow your own vegetables and herbs from scraps, and nourish your plants with compost. 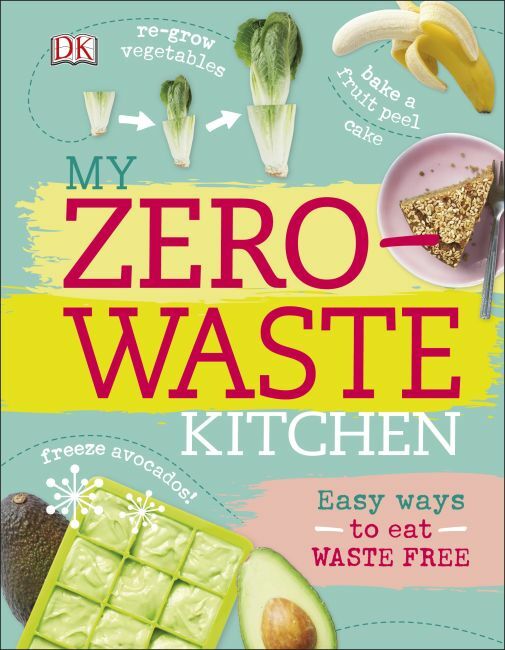 With 15 nutritious and versatile recipes in which nothing goes to waste, this guide shares the secrets to smart shopping, meal planning, and the nutritional value of often-discarded food products. Turn beetroot peelings into delicious falafel, pesto, or a melt-in-your-mouth cake. Revive produce nearing the end of its shelf life with "flexi" recipes-for risotto, stir-fry, smoothies, and more.